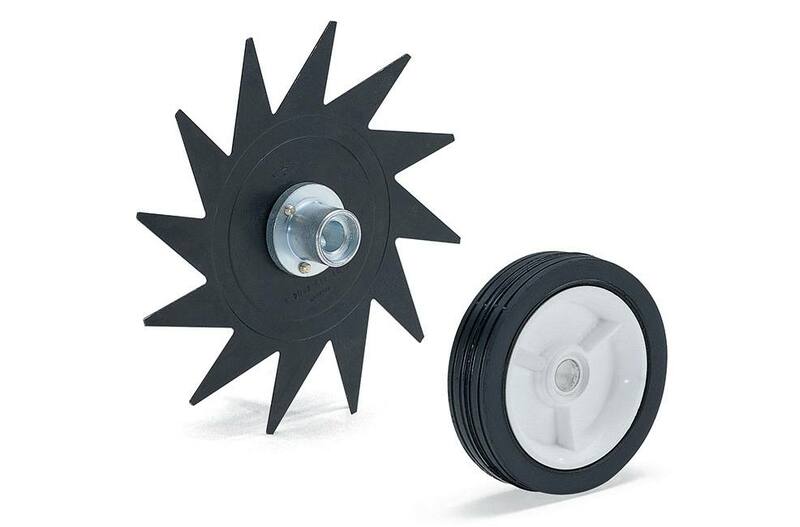 RL-MM Lawn Aerator: Refresh your lawn with the YARD BOSS® lawn aerator attachment. 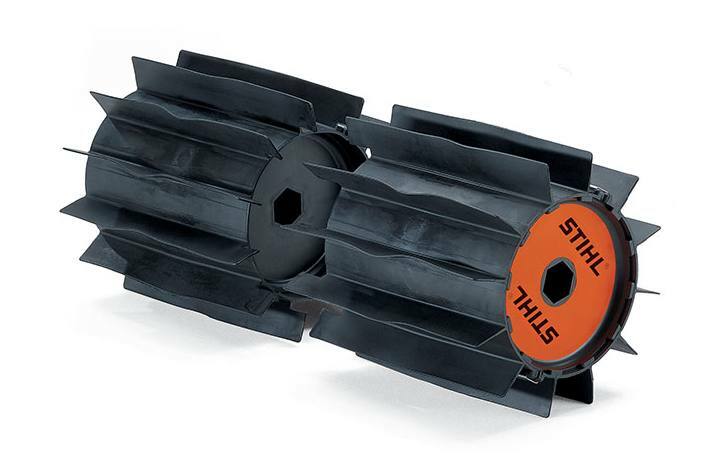 Made for the STIHL YARD BOSS® yard care system, this attachment creates a series of slits into the soil of the lawn. These holes allow air, moisture, fertilizers and other nutrients to get to the roots. Now that’s a breath of fresh air. FC-MM Bed Edger: Give your yard that professional landscaped look with the YARD BOSS® bed edger attachment. Made for the STIHL YARD BOSS® yard care system, this handy tool is used to cut defined edges to separate the grass lawn from the cultivated soil in a planting area. It’s the perfect way to add definition to your outdoor areas. 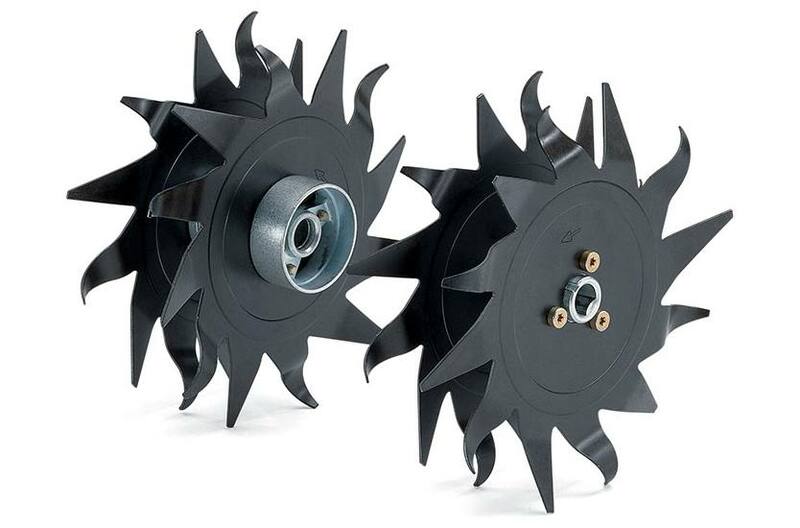 BF-MM Pick Tines Cultivator: The YARD BOSS® pick tines cultivator breaks up weeds and hardened soil in the garden without disturbing nearby plants. The pick-style tines deliver exceptional control while effectively loosening hardened dirt or mulch. 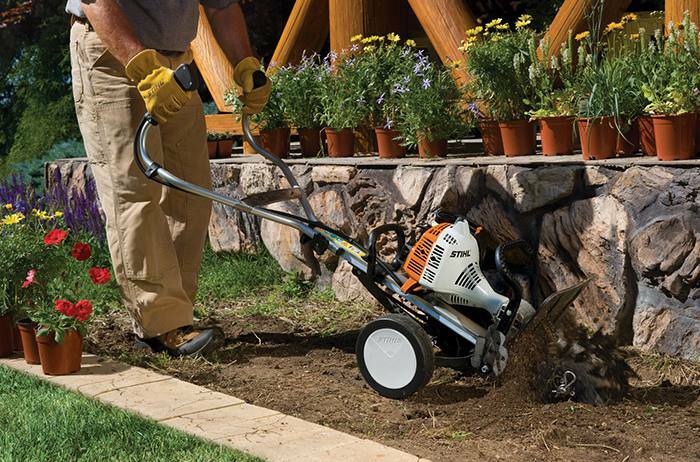 This is the standard attachment for the MM 55 and MM 55 C-E STIHL YARD BOSS® lawn care systems, so you can prepare soil for planting and keep your garden areas perfectly maintained – no assembly required. 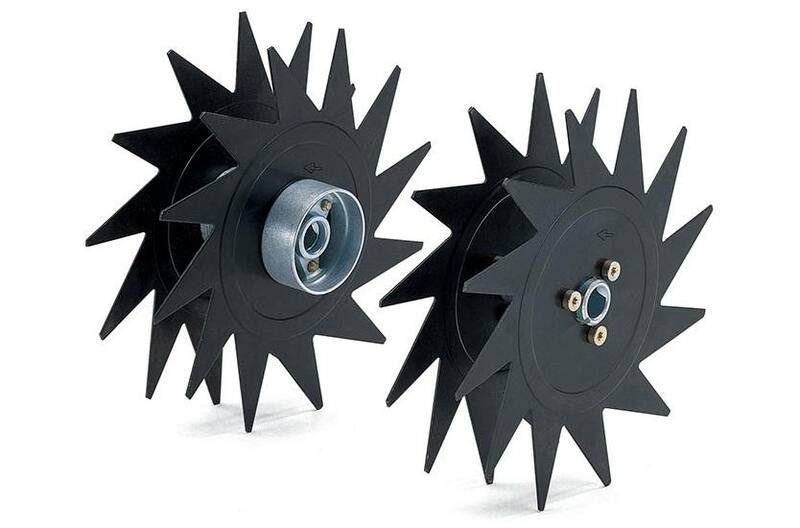 BK-MM Bolo Tines Cultivator: It slices, it dices, it chops compacted dirt into soft planting soil. The YARD BOSS® bolo tines cultivator attachment is an alternative style to the standard pick tines, and is designed for a minimum of clogging. Perfect for gardens and other planting areas, the curved bolo tines reach deeper into the ground, loosening and mixing the soil. They are also great for adding amendments to soil. MF-MM Lawn Dethatcher: Nature rarely picks up after itself. 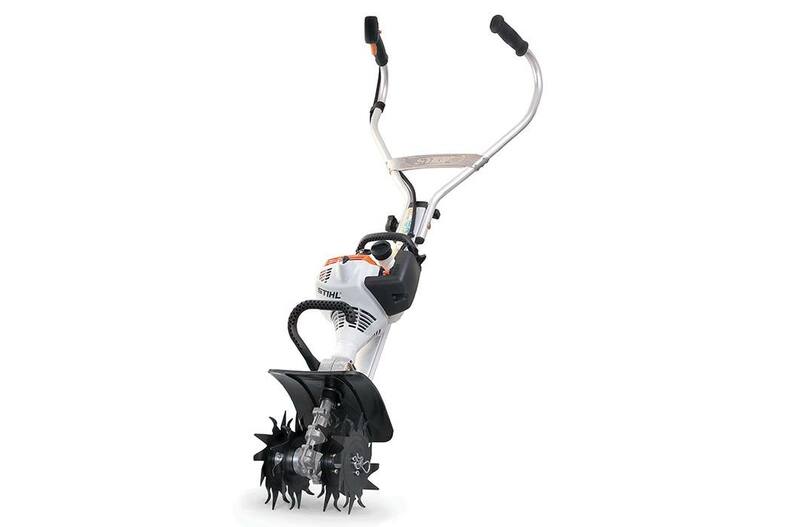 The YARD BOSS® dethatcher attachment for the STIHL YARD BOSS® yard care system picks up what nature leaves behind, grabbing dead grass and other accumulated materials directly from the top of the soil. 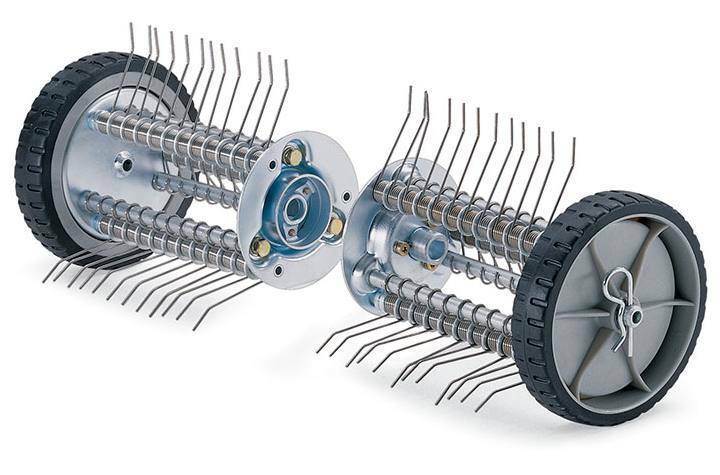 Like a vacuum cleaner for your grass, this attachment cleans up your lawn, allowing in more sunlight and nutrients. NOTE: This attachment must be used with large deflector and extensions. 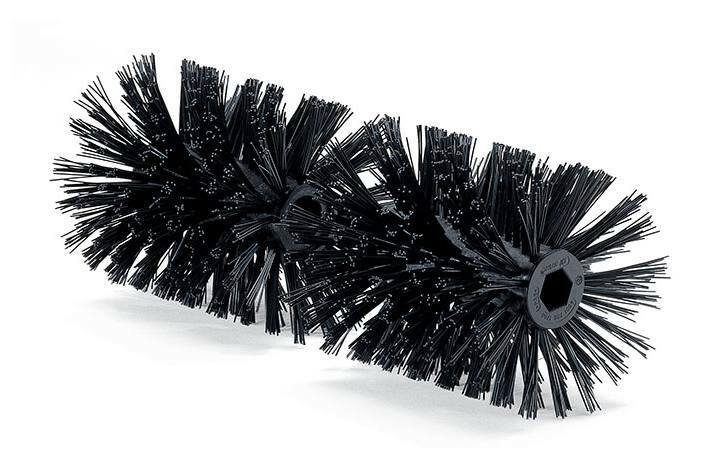 KB-MM Bristle Brush: Sweep with authority. 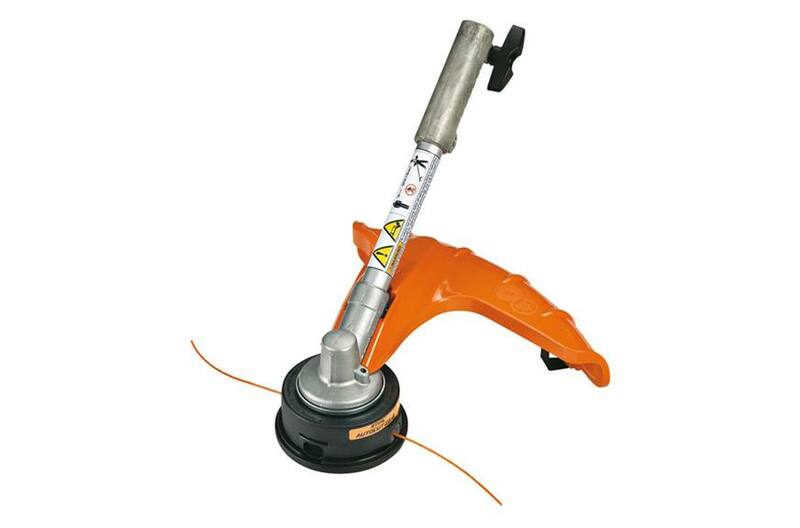 The bristle brush attachment for the STIHL YARD BOSS® yard care system features durable nylon bristles and a wide sweeping surface – one pass covers an area up to 24” wide. From clearing leaves on walkways and driveways to fluffing artificial turf, this bristle broom makes a clean sweep of big cleanup jobs. 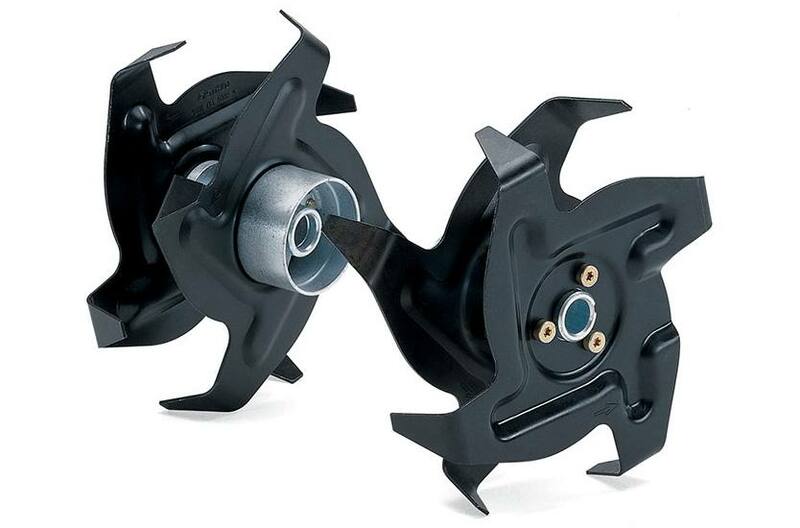 Pair it with the MM Wheel Kit accessory for ultimate convenience and maneuverability. NOTE: This attachment must be used with large deflector and extensions. Do not use on grass lawns. KW-MM STIHL PowerSweep™: Show nature you have the right-of-way with the KW-MM PowerSweep™ attachment for the STIHL YARD BOSS® yard care system. This powerful attachment features heavy-duty rubber flaps, acting like a squeegee on steroids. It cleans up compacted dirt along roads and sidewalks, moves pebbles and sand from grassy turf, and even removes water and light snow from hard flat surfaces. NOTE: This attachment shown with optional large deflector and extensions.